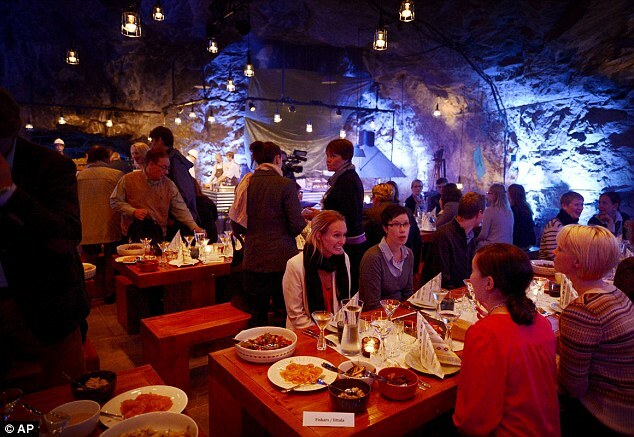 Inspired by the modern urban trend for temporary ‘pop-up’ shops and eateries, an underground restaurant has been opened in a mine in the southern Finnish town of Lohja this week. Guests who pay a visit will be able to feast on a four-course menu that continues the off-beat theme by including snail flambéed in Pernod and served with a fennel risotto. This below-ground banquet is a little on the pricey side – costing just over £100 per head – but will appeal to gourmets, as it also features smoked vendace (a type of fish common in northern Europe) in lemon oil, roast veal tenderloin and hanger steak in herb stock.